One of the questions I get asked most frequently is “what’s a good use of my miles?” The question is either that generic, or comes in the form of “I can either pay $500 or use 50,000 miles; which should I do?” The simple answer is always that it depends, or for that matter go with whatever you think is a good value. There are so many factors, like how wealthy you are (both in terms of miles as well as money), what you value your miles at, what you’d use the miles for otherwise, etc. Realize the difference between actual cost and value to you. I often hear people saying they got $20,000 worth of value out of an award redemption because they’re flying first class internationally. While that’s the sticker price of the award redemption, for most of us it’s not actually what we’d be willing to pay for it. Therefore, establish a value for a certain ticket. In my case, for example, I typically value a transatlantic business class award ticket at $1,500, while I value a transpacific award ticket at $2,000, give or take. Factor in the miles you lose from not booking a revenue ticket. Let’s say you’re thinking of booking a coach award from Los Angeles to London, and the cost is either 50,000 miles or $500. If you’re considering going for the award (God forbid), keep in mind the miles you’re losing out on because you’re not buying a revenue ticket. In this case, I’d be losing out on about 20,000 miles as a United 1K, since that’s what I’d earn for this trip. Therefore the actual cost of the award is 70,000 miles or $500. Factor in award ticket taxes. It’s easy enough for us to think of award tickets as “free,” but let’s face it, they’re not. Generally US airlines are good at charging reasonable taxes, but with some foreign carriers it gets pretty bad. For example, when redeeming with some airlines in coach, the cost of the “taxes” and “fuel surcharges” on award tickets could be just as much as a revenue ticket. Either way, be sure to factor in the cost, be it $5 or $500. Determine how much a mile is worth to you. This is probably the most important (and basic) part of planning an award. Without figuring out how much miles are worth to you, the other suggestions are pointless. This is a number which can change based on how many miles you have, your financial situation, etc. Also, it can vary based on the program. For example, I value a United Mileage Plus mile more than I value a Delta SkyMiles mile. In general I value miles at about 1.5 cents a piece, but it can vary. That’s pretty much in line with how much I value premium travel, given that business class award tickets are about 90,000-10,000 miles, and I value them at about $1,500. Determine whether or not you need to take a trip. This is, in my opinion, the one step in the “determining mileage valuation” process where people “mess up” the most. It’s easy to justify an award ticket from Los Angeles to San Diego, for example, when the lowest revenue fare is $600 and it would only cost you 25,000 miles, but be sure to ask yourself whether or not you’d take the trip if you had to pay. In my case I’m pretty flexible, so I typically compare the market’s lowest revenue fare to the award I’m thinking of. 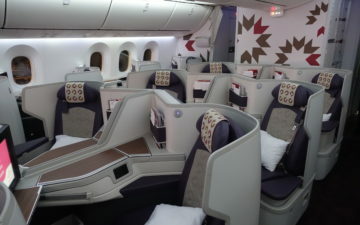 For a more practical example, we often see business class fare sales in summer, where you can purchase a business class award ticket from the US to Europe for under $2,000. I find that using that as a basis to be much more significant than the typical $5,000+ fares we see in business class. Feel free to add any other suggestions, bash my suggestions, or ask any questions, as I’m sure there’s other stuff I forgot. OH GOD THANK YOU. It pisses me off every time I hear people talk about how they got their $15k F ticket w/ miles, as if they would have ever payed $15k for it (I certainly wouldnt :P). The rest of your points are all valid of course, but that one in particularly annoys me. You might want to explain the how you value a mile part a little bit more clearly. I’ve tried explaining it to my friend that loves to collect AS miles, but he still doesn’t get it. He buys all kinds of stuff based on the email promos they send him (like 100 miles for buying flowers, etc) that he otherwise wouldn’t because “he really wants the miles”. The simplest way to think about it is to consider what you typically use your reward for. I typically use mine for short trips on the PEK-NRT corridor, which often prices out at about $500 USD. What would I pay if I didn’t use the miles on this? Well, I’d probably only fly it often if it were around $250 USD. So I get $250 of “value” out of the ticket. Take the 25,000 miles, divide by the value you are getting ($250), and viola, you get 1 cent per mile of value (not the miles forgone). Another discount factor that you forgot to mention is the cost of capacity controlled rewards. If you can only fly on certain carriers on certain dates on certain routings, that’s a “cost” that ought to be factored into the valuation. On the NRT-PEK route, there isn’t much cost because getting a Y award is trivial with options on three different carriers that are almost never *Net filtered. However, if one’s main goal is to use miles for leisure travel in C with a companion, UA miles are worth substantially less. Having to pick inconvenient dates, extra time in transit, using non-preferred carriers lowers the “value” side of the equation substantially. It can sometimes be good to think about the $15k cost for the Int’l F ticket as it makes you realize what someone flying revenue, perhaps right next to you, might have paid. I’m with andrewwm and his notion of discount factor. The truth is that, for many of us less skilled at working the ANA system, etc., it’s very difficult to use the awards when we want them. I personally always find myself moving my dates a few days, or flying at some ungodly hour, etc. I admit that this might also happen in order to get a cheaper paid fare, but, with the paid fare, there is always a better sense of control of this. My philosophy is almost always to use the miles if the flights times and taxes are reasonable. But then I’m a coach flyer that always flys with my family, so I’m probably atypical. We try to update the values of points/miles once per quarter. The last update was 2 months ago, so due for a refresh soon. Hope it helps. Seems like $2K for TPAC is a little bit low for me. I normally value $3K for TPAC in Business class and $4K for First class award.